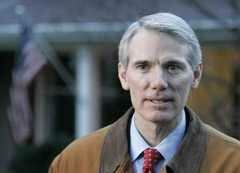 whats the story with having jennifer brunner’s picture for goper portman against lee fisher? i know portman should be embararassed to show his face being economic disaster bush budget director but geez. Barnes is NOT running for Alabama Senate, he’s running for his old job as Georgia governor this year.